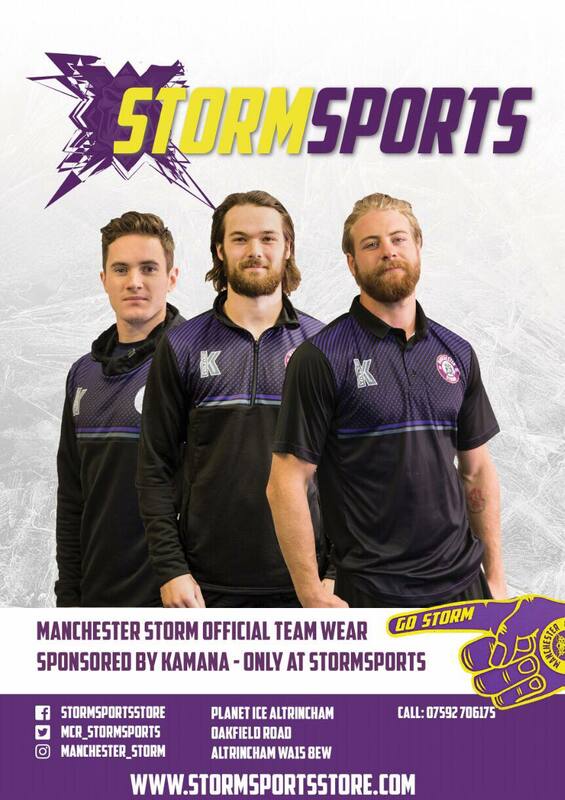 Tickets for Storm’s upcoming home game against Belfast Giants for Armed Forces night can be ordered online HERE, or by calling the box office on 0161 926 8782, or in person at the box office. 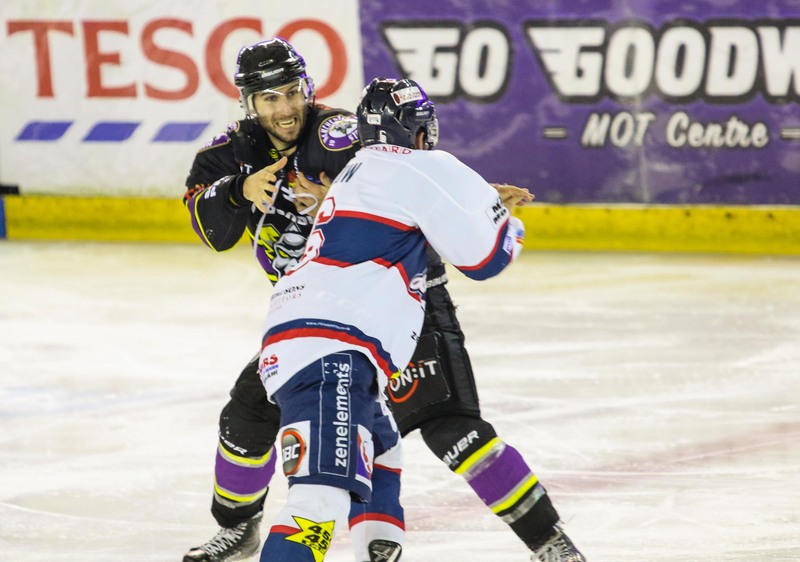 Last night Storm faced the Dundee Stars. 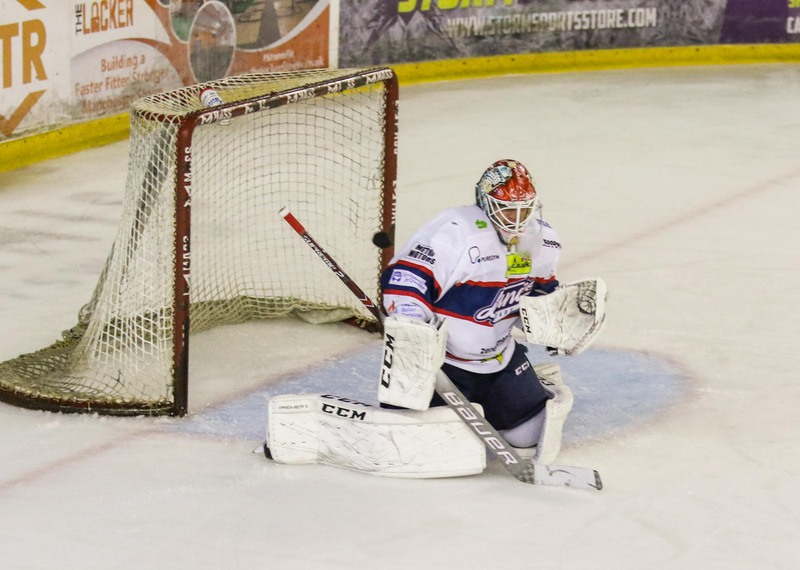 With both teams just one place and one point apart in the EIHL table at the time, it was set to be a competitive game from start to finish. The first ten minutes of play were back and forth, with neither team claiming goals or penalties and both sets of defencemen and goalies doing everything they could to keep the puck out of their zone. It was Storm who took the first penalty of the evening, when Ruopp received two minutes for slashing. The Stars only got one minute of powerplay opportunity before the netminder, Sjogren took a two minute minor or tripping. Storm were the first to send the puck home during four on four hockey, as Stadel sent a slapshot from the blue line at 11:02, with assists from Hammond and Moffatt. Storm then went on the penalty kill, as Balmer was sent to the box for tripping at 15:35. It was a strong pk, Stars not managing to break even. It was an eventful and thrilling final two minutes of the first period, when Storm scored twice, just a minute apart. The second goal of the night came at 18:30, when Auger sent the puck above Sjogren’s blocker side, the assist from Anderson. Storm’s third goal appeared with 22 seconds left on the clock, as Stadel claimed his second of the night, shooting it top shelf. Less than two minutes into the second period, Dow dropped the gloves with Anderson. After brief, but a well- fought scrap, both sat in the penalty box at 21:38 for five minutes- Dow taking an extra two plus ten for instigating. 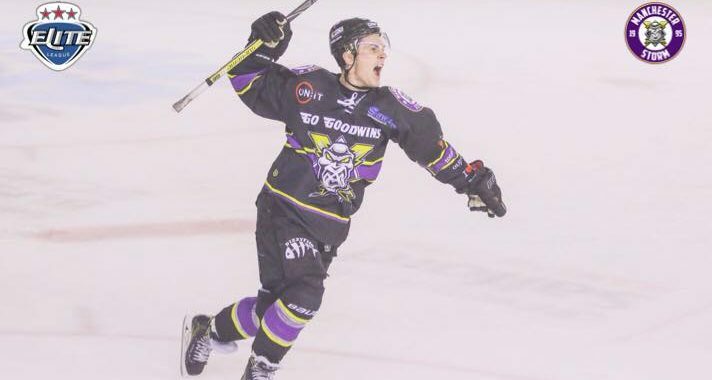 Stars player Ricci, received a two minute minor at 23:32 for slashing, giving Storm the upper hand on the powerplay. Storm didn’t manage to breakthrough, and play was end to end. Dundee took the upper-hand in the second period, managing to score their first goal at 33:28, as Lundvald put it past Ginn, with the assist from Chaloupka and Sullivan. It was that goal that must have motivated them as they managed to claim another at 37:21, as Marquardt sent it bardown on the powerplay, as Moffatt was in the penalty box for elbowing. The goal was reviewed, but then given, with Hart and Bouchard getting the assists. Stars kept pushing and achieved it again In the final minute of play at 39:42, Cownie scoring the equaliser taking the game to 3-3 with assists from Andersson and Dow. There were chances for both teams in the final twenty minutes of play, both netminders gloving and freezing play at any opportunity. Stadel was given a two minute penalty 47:17 for roughing, allowing Stars to take their chances on the powerplay. The game got tense as Storm held up on a strong five on three penalty kill, when Bakker sat in the box for delay of game just one minute later at 48:36. With the buzzer signalling end of regular time, both teams took one point each and went to what would be a thrilling overtime. 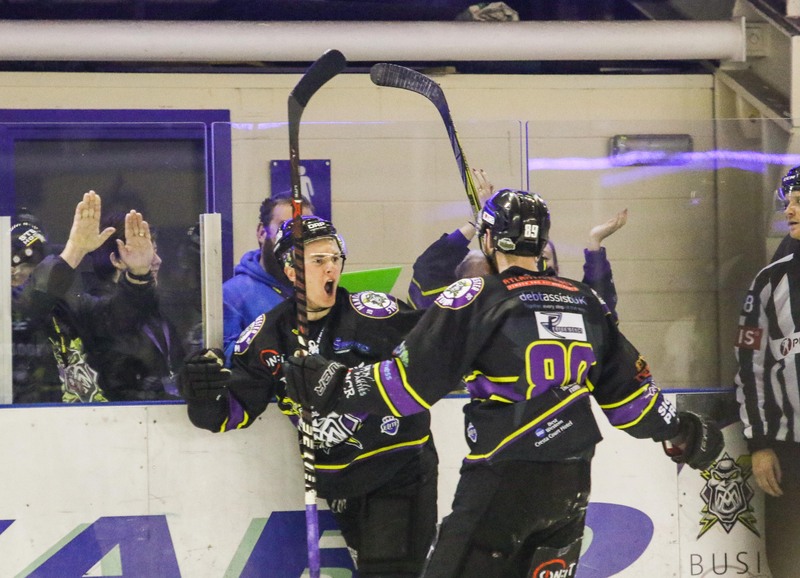 In the final minute of three on three overtime, it was all over as Stadel sniped high for Storm at 64:21, claiming the winning goal of the evening and his first hat-trick of the season, against his former team. Storm took the victory at 4-3, taking the two points and their fifth home win in a row. Despite one small fight, it was a relatively clean game, with Stars receiving 21 penalty minutes, and Storm with 15. Man of the Match for the Storm went to, #3 Riley Stadel. Manchester Storm’s next home game is an special event, Armed Forces night, Saturday 27th October, 19:00 face-off against Belfast Giants. They then play away at Guildford Spectrum on 28th, 18:00 face-off. If you plan on taking the trip to Sheffield this today for the away game, you can purchase tickets HERE.